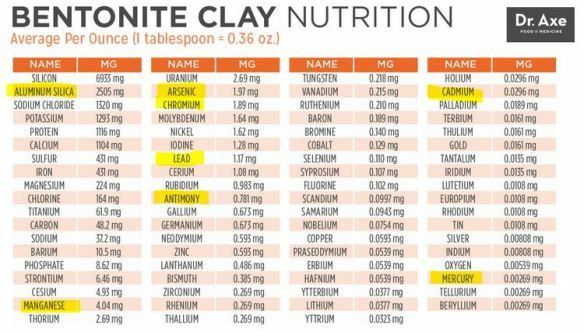 This entry was posted in Alternative Medicines, beauty, Health, Skepticism and tagged bentonite, chiropractors, clay, detox, health supplements, josh axe, quack, toxins by Mark Aaron Alsip. Bookmark the permalink. Gilbert, I did not subscribe you to anything; neither can I unsubscribe you. This is WordPress blog. The only reason you would be receiving notifications is if you intentionally clicked a series of buttons to sign up to receive notifications when new posts were published. Please look for removal instructions in the same emails that are carrying the new post notifications, or, perhaps at the bottom of the posts themselves. Commenting in a post as you’ve done won’t, I believe, accomplish anything. WordPress manages subscriber lists. To the best of my knowledge, I have no control over who sees/reads what I read. I would (and have) stopped my vehicle and let the poor creature off. My poor mother got duped into getting on this guy’s autoship before I could do some research on his supplements and it’s been a comedy of errors trying to get them to stop billing her. They finally stopped shipping the silica-filled products but decided they’d just keep right on billing her so American Express has been kind enough to give her a refund of everything they ever billed and then blocked them from further billing. Let me tell you, their customer support is an utter nightmare but ultimately I’m just glad we got her off that junk and onto some proven, high-quality herbs. I was surprised that apparently the Dr. Axe brand is in a tailspin. https://urbol.com/dr-axe-reviews/ I wonder what’s going on? Time to pay the piper? I’ve been having a go-round with another well-known supplement pusher’s customer service over a simple question on whether or not the guy is selling GMO soy (I’m pretty sure he is). It is becoming apparent that “customer service” for these folks is there to do one thing, and one thing only–take your money, and never give it back. I’m so sorry you have run into the same thing. Thank you for sharing your story, and very glad to hear it sounds like you’re seeing light at the end of the tunnel! First and foremost, I would like to thank you for your ongoing efforts to debunk these imposters. I had other friends of mine get caught up in non-scientific claims about some supplement or diet. I find it difficult sometimes to discern what is true in today’s age of misinformation. Actually putting the time to do your own research in controversial issues are so time consuming and difficult if you Do not have a background in science. Keep up the good work! Thank you so much! Thank you Jung! I know I can’t reach the diehard followers of the imposters, so I write to reach the good people like you, who are looking for looking for evidence-based information. In today’s world of “alternate facts,” it is rare to get feedback, so I don’t always know if I am making a difference. Comments such as yours make such a difference. Thank you so much!